Oh, look at the cute little baby! 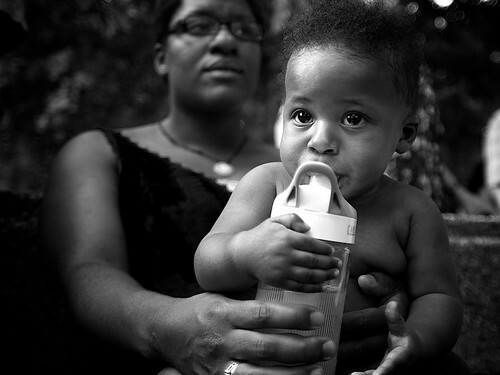 Seriously for a moment, look at the baby. Particularly his face. One of the best ways to have a dramatic picture of a person is to have a close up of their face. Pablo shows this to great effect. He does have the added assist of taking a picture of a cute baby; but even then he get the kid’s big eyes and a sense of contentment in his expression. In many ways this reminds me of a video essay I came across a few months ago which deconstructs the “Spielberg Face.” While Pablo doesn’t quite get to the level of Spielberg, he does show the technique very well. 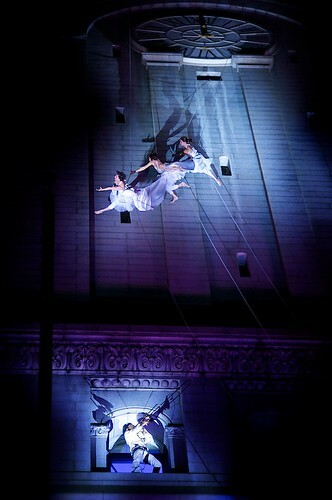 This past Friday, DC was treated to a fascinating public performance called bound(less), put on by the group Project Bandaloop and sponsored by the Kennedy Center. Bound(less) is an aerial dance performed on the face of the Old Post Office Pavilion on Pennsylvania Ave, and it provide a number of wonderfully unique photographs for our contributors, like Pablo’s above. The dancers suspended in mid-air, the horn player in the window, and the blue light, all give the image an other-worldly feel. It’s almost as if the photo is from a dream. The reason I’m pointing this out is to show how blessed DC is with public art. Almost every week there’s something going on for people to see. And starting this weekend is the big public art festival of Artomatic. Eleven floors of art; some very good, some very bad, but all up to the viewer to decide. I’m going to be there Friday night; I hope to see you all there. I decided to do something completely different for the Featured Photo segment today. What you see above is called a sterographic projection, or polar panorama. 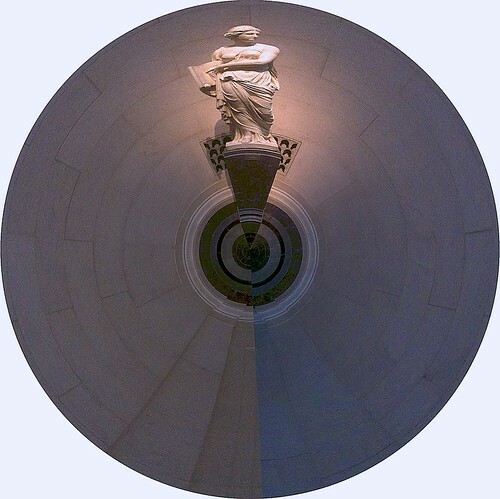 By using a photo editing program, like Photoshop, a photographer can take a regular, 360 degree panoramic photo and turn it into a little planet. If you have the skill to do it, you can make some fascinating photographs. Pablo creates a unique world here of a statue in the National Gallery of Art. It’s as if the goddess Gaia has been born from Khaos and looks on the blank slate of a world that she is about to give form. The eyes, the eyes, the eyes. I’ve said it before: to get a good wildlife shot, you have to aim for the eyes. 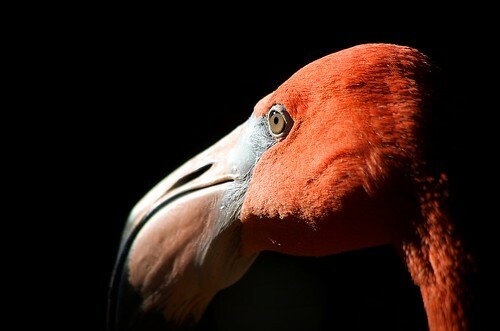 Now, Pablo’s shot may not be a strictly true wildlife shot (wild flamingos not be native to the DC area, especially in the colder months), but it certainly is an excellent animal shot. And once you get beyond staring at the eye, you start seeing the wonderful detail of the bird’s feathers and beak, which is nicely highlighted by the black background. A shot to be proud of, that is for sure!